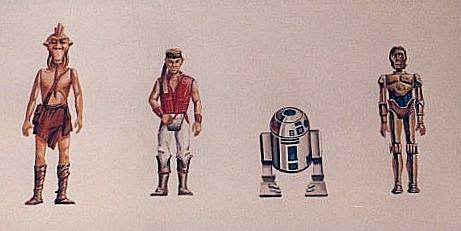 This artwork was used by Kenner to show off their new line of action figures for the Droids and Ewoks cartoons. 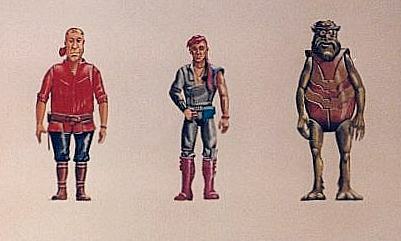 This artwork was showcased mainly in Kenner retailer catalogs which showed floor displays that could be ordered from Kenner. Some of these floor displays were photographed using packaging mock-ups and not with "real" toys. 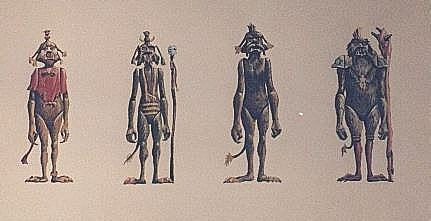 As you can see here, some of these characters were never made into action figures. These concepted characters were probably created before the actual cartoon characters were finished since they differ in some pretty noticeable ways. 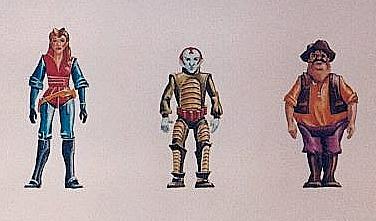 Similar character artwork was used at Toy Fair to show characters that were not available in their final action figure form.